Planners have turned to the Planning Advisory Service (PAS) for information and innovation since 1949. PAS is APA's flagship research brand, with a suite of publications and curated content. Quarterly reports deliver authoritative guidance on trending issues and practices. APA members and PAS subscribers can download each new report as it is posted, and can download nearly 100 reports published since 1994. PAS subscribers also receive a print copy of each new PAS report. 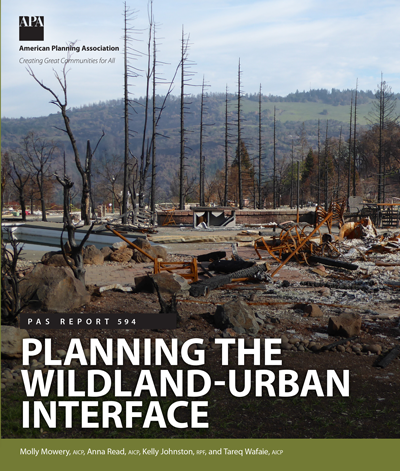 Planning the Wildland-Urban Interface, the latest PAS Report, offers tools and approaches to help planners make their communities safer and more resilient to wildfire. What's working in communities like yours? These bimonthly alerts bring you practical information from planners around the country facing the same challenges you are. APA members and PAS subscribers are connected to an archive of previous issues. 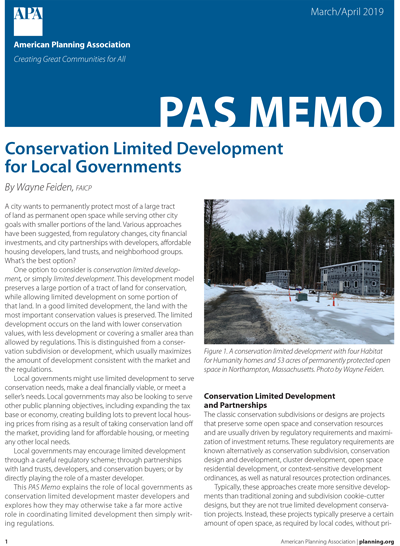 Read "Conservation Limited Development for Local Governments," the latest PAS Memo, to learn how local governments can use this development approach to help meet multiple community goals. Bite-size backgrounders make important planning issues easy for officials and the public to understand. They're ideal for public meetings, private briefings, and staff orientations. APA members and PAS subscribers can download and share each issue with citizens and commissioners in their — or their clients' — communities. 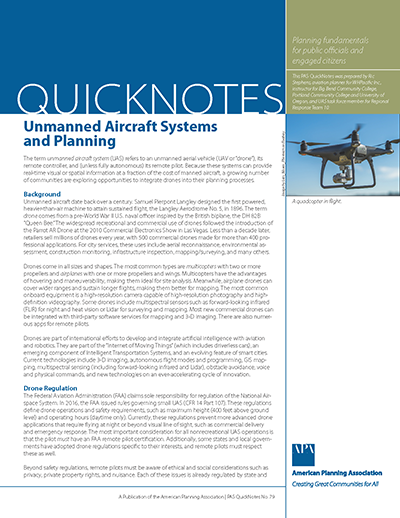 "Unmanned Aircraft Systems and Planning," the latest PAS QuickNotes, provides a brief overview of drone technology and regulations and highlights three specific ways communities can use unmanned aircraft to improve planning processes. PAS published its first Information Report in 1949. Each month we present a new report from the archives. This month's historic PAS Report offers planners and officials guidance in better integrating multifamily housing into the single-family housing world of the suburbs. Organizations that subscribe to PAS receive one print copy of each new PAS Report, and staff members of these organizations have online access to PAS Reports, PAS Memo, PAS QuickNotes, and APA's Research KnowledgeBase. APA members also have online access to PAS publications and the Research KnowledgeBase.